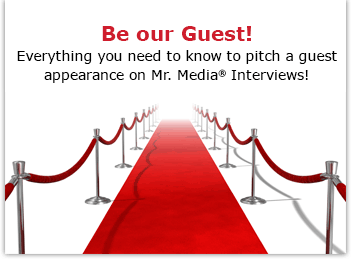 Watch this exclusive Mr. Media interview with Lloyd Handwerker by clicking on the video player above! Mr. Media is recorded live before a studio audience full of Famous Nathan’s countermen who won’t be putting up with any bullsh*t from the likes of you, fella… in the NEW new media capital of the world… St. Petersburg, Florida! Famous Nathan, a documentary film by Lloyd Handwerker. Order now by clicking on the DVD cover above! Growing up in New Jersey, my grandparents frequently took me by bus and train out to Brooklyn to visit my Great-Aunt Bess and Great-Uncle Max. Sometimes, we stayed in their tiny apartment and Aunt Bess cooked. But sometimes, my grandfather and I went off and spent the day at Coney Island, riding the rides and eating a hot dog and fries at the block-long Nathan’s Famous hot dog stand right on the boardwalk. Last night, I watched Lloyd Handwerker’s documentary film, Famous Nathan, and it brought all the memories – the tastes, the smells and the sights – rushing back to me. Handwerker is the grandson of the founder of Nathan’s, Nathan Handwerker. And while he himself never worked in the family business, he has put together a movie packed with old film, pictures and interviews that immediately took me back in time to a place I treasured visiting with my own grandfather. Or, as I told my wife, it took me to a place I had recalled hundreds of times in dreams and never thought I’d see that way again. Famous Nathan captures a moment – and a salty, kosher taste – in time, replete with enough dirty family laundry – this brother hated that one! Mama never loved Papa! So-and-so was cheap! — to give anyone a delicious nosh, whether you’ve ever been to Coney Island or not. • 27:25 How the founder of Nathan’s integrated his food counter. Nathan Handwerker and wife Ida, founder of Nathan’s Famous of Coney Island.